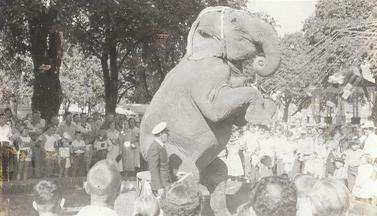 Here we see an ELEPHANT named "BIG BABE" in the town park!!!! 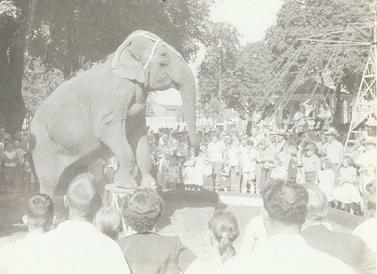 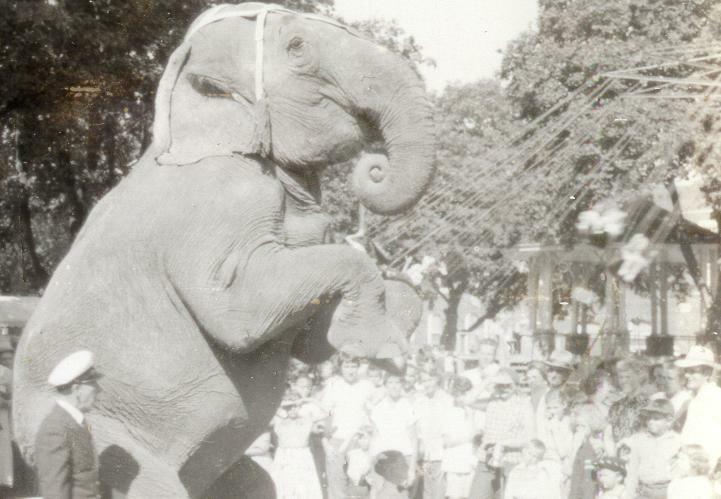 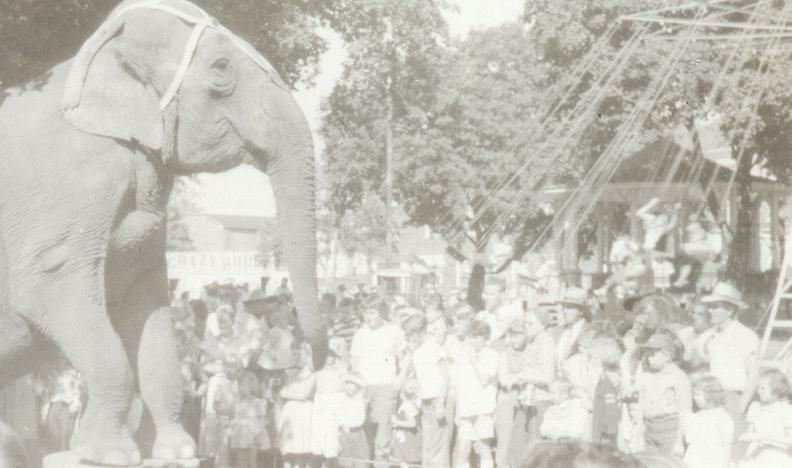 The Circus was in town again,and it looks like everyone in town showed up.These photos are from the 1955 Leroy Fall Festival.There is a carnival swing ride visible in the photo too. . . . .